TTS' Audit services provides key to wireless carriers with the approach of delivering business intelligence to top management, maximizing customer satisfaction with the QoE to reduce churn, increase ARPU and increase ROI of CAPEX and OPEX. With extensive experience in the industry, TTS is the pioneer on Network Audit services. TTS has a unique combination of expertise and capabilities with local presence and delivery. TTS is independent from operators, tool vendors or equipment vendors; this significantly adds to TTS’ audit the value of an External and Independent Auditor. Process Audit - Along with technical audits, TTS is also capable to audit the processes in a technical organization and examining the effectiveness of the company procedures. A Process Audit involves a review of an operator’s processes and procedures, as pertaining to the operation of their network. 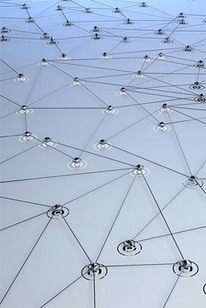 As an example, this could involve a review of processes and procedures for various aspects of engineering, such as the process for the projection of network capacity, network expansion procedures, procedures for monitoring network performance, procedures for dealing with customer complaints, network management and maintenance procedures, network quality management, disaster management procedures, network security procedures audit, etc. An audit also includes a review of the organizational structure of a company, along with the number of personnel dedicated to each sub-organization. Such an audit also typically includes suggestions for improvements and best practices. Depending upon the project, a process audit may also include aspects other than network operation, such as billing, marketing, etc. Performance Audit - Performance audit is one of the primary areas of focus in an overall network audit. This service targets the evaluation of the network based on design goals verses the performance achieved. The dynamic nature of mobile network caused by network expansion, subscriber growth, new service launch & wireless environment creates multiple challenges for the operator to know exactly where the performance of the network stands compared to the design objectives. By collecting large amounts of network data we can evaluate the network quality from an end-user perspective and find out where the network bottlenecks are and where there is potential for network performance improvements. Network Audit - In today’s extremely competitive wireless market, it is imperative for an operator to continuously monitor the network performance and quality of service to sustain a leading competitive edge in the market by assuring customer satisfaction. TTS' technical end to end network audit services help an operator in identifying issues in the network, root cause of all issues and actions required to address those issues. The audit assures that functional goals & objectives are met, network resources are safeguarded and regulations and policies are followed.